Original-Erstausstrahlung: Mo 08.11.2010 Cartoon Network U.S.
Sa 18.05.2019 03:45–03:55 Cartoon Netw. Mo 15.04.2019 03:45–03:55 Cartoon Netw. Sa 01.12.2018 03:45–03:55 Cartoon Netw. Di 27.11.2018 21:15–21:30 Cartoon Netw. Mo 22.10.2018 21:25–21:35 Cartoon Netw. Sa 13.10.2018 04:05–04:15 Cartoon Netw. Di 04.09.2018 21:20–21:30 Cartoon Netw. So 26.08.2018 03:45–03:55 Cartoon Netw. Fr 24.08.2018 09:40–09:50 Cartoon Netw. Mo 20.08.2018 08:50–09:00 Cartoon Netw. Mo 30.07.2018 21:35–21:50 Cartoon Netw. So 08.07.2018 04:05–04:15 Cartoon Netw. Di 12.06.2018 21:35–21:45 Cartoon Netw. Mo 21.05.2018 03:45–03:55 Cartoon Netw. Di 08.05.2018 21:00–21:10 Cartoon Netw. Mi 25.04.2018 22:55–23:05 Cartoon Netw. Mo 02.04.2018 04:05–04:15 Cartoon Netw. Do 08.03.2018 22:30–22:40 Cartoon Netw. Di 13.02.2018 03:40–03:55 Cartoon Netw. Fr 26.01.2018 09:50–10:00 Cartoon Netw. Do 18.01.2018 22:55–23:05 Cartoon Netw. Mi 10.01.2018 04:05–04:15 Cartoon Netw. Do 23.11.2017 03:45–03:55 Cartoon Netw. Mo 13.11.2017 23:05–23:15 Cartoon Netw. Sa 28.10.2017 13:40–13:50 Cartoon Netw. So 01.10.2017 04:05–04:15 Cartoon Netw. Sa 30.09.2017 22:50–23:00 Cartoon Netw. Mo 14.08.2017 03:45–03:55 Cartoon Netw. So 13.08.2017 22:30–22:40 Cartoon Netw. Mo 26.06.2017 04:05–04:15 Cartoon Netw. So 25.06.2017 22:50–23:00 Cartoon Netw. Di 09.05.2017 03:45–03:55 Cartoon Netw. Mo 08.05.2017 22:30–22:40 Cartoon Netw. Sa 08.04.2017 03:55–04:05 Cartoon Netw. Fr 07.04.2017 22:40–22:50 Cartoon Netw. Fr 24.02.2017 03:45–03:55 Cartoon Netw. Do 23.02.2017 22:30–22:40 Cartoon Netw. Mi 11.01.2017 04:15–04:30 Cartoon Netw. Di 10.01.2017 23:05–23:15 Cartoon Netw. Di 29.11.2016 04:05–04:15 Cartoon Netw. Mo 28.11.2016 22:50–23:00 Cartoon Netw. Sa 05.11.2016 12:15–12:25 Cartoon Netw. Do 03.11.2016 14:20–14:30 Cartoon Netw. Sa 15.10.2016 03:55–04:05 Cartoon Netw. Fr 14.10.2016 22:40–22:50 Cartoon Netw. Di 30.08.2016 22:30–22:40 Cartoon Netw. Fr 26.08.2016 04:05–04:15 Cartoon Netw. Di 19.07.2016 17:35–17:45 Cartoon Netw. Di 19.07.2016 08:15–08:25 Cartoon Netw. Mo 18.07.2016 22:40–22:50 Cartoon Netw. So 10.07.2016 03:45–03:55 Cartoon Netw. Mo 06.06.2016 04:50–05:00 Cartoon Netw. Mo 06.06.2016 01:40–01:50 Cartoon Netw. Fr 20.05.2016 14:20–14:35 Cartoon Netw. So 24.04.2016 05:05–05:15 Cartoon Netw. So 24.04.2016 01:50–02:05 Cartoon Netw. So 13.03.2016 04:30–04:40 Cartoon Netw. So 13.03.2016 01:20–01:30 Cartoon Netw. Do 10.03.2016 08:40–08:50 Cartoon Netw. Mi 09.03.2016 18:20–18:30 Cartoon Netw. Mi 03.02.2016 05:05–05:15 Cartoon Netw. Mi 03.02.2016 01:55–02:05 Cartoon Netw. So 24.01.2016 21:20–21:35 Cartoon Netw. So 27.12.2015 04:50–05:00 Cartoon Netw. So 27.12.2015 01:40–01:55 Cartoon Netw. Mo 12.10.2015 04:30–05:15 Cartoon Netw. Mo 12.10.2015 01:20–02:05 Cartoon Netw. 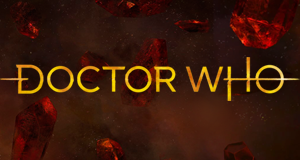 Sa 22.08.2015 14:35–15:00 Cartoon Netw. Mo 23.02.2015 08:10–08:45 Cartoon Netw. Sa 14.02.2015 03:00–03:25 Cartoon Netw. Di 20.01.2015 03:25–03:45 Cartoon Netw. Sa 27.12.2014 03:00–03:25 Cartoon Netw. Fr 26.12.2014 08:10–08:40 Cartoon Netw. 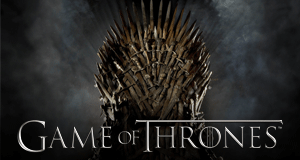 Di 16.12.2014 13:30–14:15 Cartoon Netw. Di 02.12.2014 03:25–03:45 Cartoon Netw. So 23.11.2014 21:20–21:45 Cartoon Netw. Do 20.11.2014 21:00–21:20 Cartoon Netw. Sa 08.11.2014 03:00–03:25 Cartoon Netw. Di 14.10.2014 03:25–03:45 Cartoon Netw. Sa 20.09.2014 03:00–03:25 Cartoon Netw. So 31.08.2014 21:00–21:20 Cartoon Netw. Di 26.08.2014 03:25–03:45 Cartoon Netw. Do 21.08.2014 17:50–18:15 Cartoon Netw. Sa 09.08.2014 17:35–17:55 Cartoon Netw. Sa 02.08.2014 03:00–03:25 Cartoon Netw. Mi 30.07.2014 21:00–21:20 Cartoon Netw. Mi 30.07.2014 13:10–14:15 Cartoon Netw. Mi 30.07.2014 08:00–09:10 Cartoon Netw. Di 08.07.2014 03:25–03:45 Cartoon Netw. So 22.06.2014 12:10–12:30 Cartoon Netw. Mi 18.06.2014 17:25–17:50 Cartoon Netw. Mi 18.06.2014 07:10–07:35 Cartoon Netw. Do 29.05.2014 21:00–21:25 Cartoon Netw. Do 29.05.2014 17:25–17:50 Cartoon Netw. 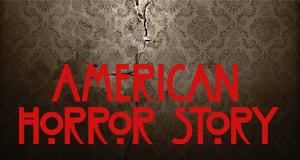 Sa 01.03.2014 00:00–00:20 Cartoon Netw. Fr 28.02.2014 06:20–06:45 Cartoon Netw. Do 06.02.2014 17:25–17:50 Cartoon Netw. 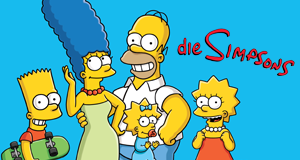 Sa 25.01.2014 23:40–00:00 Cartoon Netw. Mi 08.01.2014 17:25–17:50 Cartoon Netw. Mi 08.01.2014 00:00–00:20 Cartoon Netw. Di 07.01.2014 06:20–06:45 Cartoon Netw. Fr 22.11.2013 16:50–17:10 Cartoon Netw. Do 21.11.2013 22:40–23:00 Cartoon Netw. So 17.11.2013 01:35–01:55 Cartoon Netw. Sa 16.11.2013 07:05–07:30 Cartoon Netw. Fr 01.11.2013 22:40–23:00 Cartoon Netw. So 20.10.2013 05:35–06:00 Cartoon Netw. So 13.10.2013 07:05–07:30 Cartoon Netw. Di 24.09.2013 01:35–01:55 Cartoon Netw. Fr 30.08.2013 22:40–23:00 Cartoon Netw. Do 29.08.2013 05:35–06:00 Cartoon Netw. So 25.08.2013 17:00–17:25 Cartoon Netw. 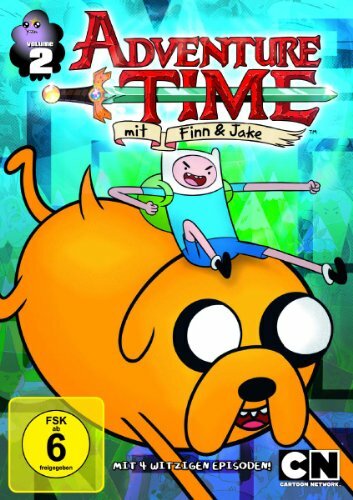 Sa 10.08.2013 01:35–01:55 Cartoon Netw. Mo 08.07.2013 05:35–06:00 Cartoon Netw. Fr 28.06.2013 22:40–23:00 Cartoon Netw. Fr 28.06.2013 12:05–12:15 Cartoon Netw. Do 27.06.2013 17:25–17:50 Cartoon Netw. Mi 26.06.2013 01:35–01:55 Cartoon Netw. Sa 15.06.2013 23:40–00:00 Cartoon Netw. Fr 17.05.2013 05:35–06:00 Cartoon Netw. So 12.05.2013 01:35–01:55 Cartoon Netw. Fr 26.04.2013 22:40–23:00 Cartoon Netw. Di 16.04.2013 17:25–17:50 Cartoon Netw. Mi 03.04.2013 05:35–06:00 Cartoon Netw. Mo 11.02.2013 01:35–01:55 Cartoon Netw. Mo 21.01.2013 21:05–21:30 Cartoon Netw. Fr 11.01.2013 19:55–20:15 Cartoon Netw. Do 03.01.2013 05:35–06:00 Cartoon Netw. Do 03.01.2013 01:35–01:55 Cartoon Netw. So 25.11.2012 05:35–06:00 Cartoon Netw. So 25.11.2012 01:35–01:55 Cartoon Netw. Mi 17.10.2012 19:55–20:15 Cartoon Netw. Mi 17.10.2012 05:35–06:00 Cartoon Netw. Mi 17.10.2012 01:35–01:55 Cartoon Netw. Sa 15.09.2012 23:40–00:00 Cartoon Netw. Di 21.08.2012 19:55–20:15 Cartoon Netw. Mo 23.07.2012 21:05–21:30 Cartoon Netw. Mo 25.06.2012 23:20–00:00 Cartoon Netw. Do 21.06.2012 19:55–20:15 Cartoon Netw. Mi 16.05.2012 19:55–20:15 Cartoon Netw.